The innovative idea of this sofa is the platform, a back or side extension of the seat system which can be used freely as a surface base or as an informal seat. It can be equipped with elements such as trays and bookcases in various sizes, made either in tempered glass or in polished stainless steel. This seating system features a wide range of sofas, lateral and relax units and poufs of varied types and dimensions which make it possible to create innovative arrangements. A high degree of comfort is offered by the use of ergonomic seat and back cushions filled with goose down and resin foam template. 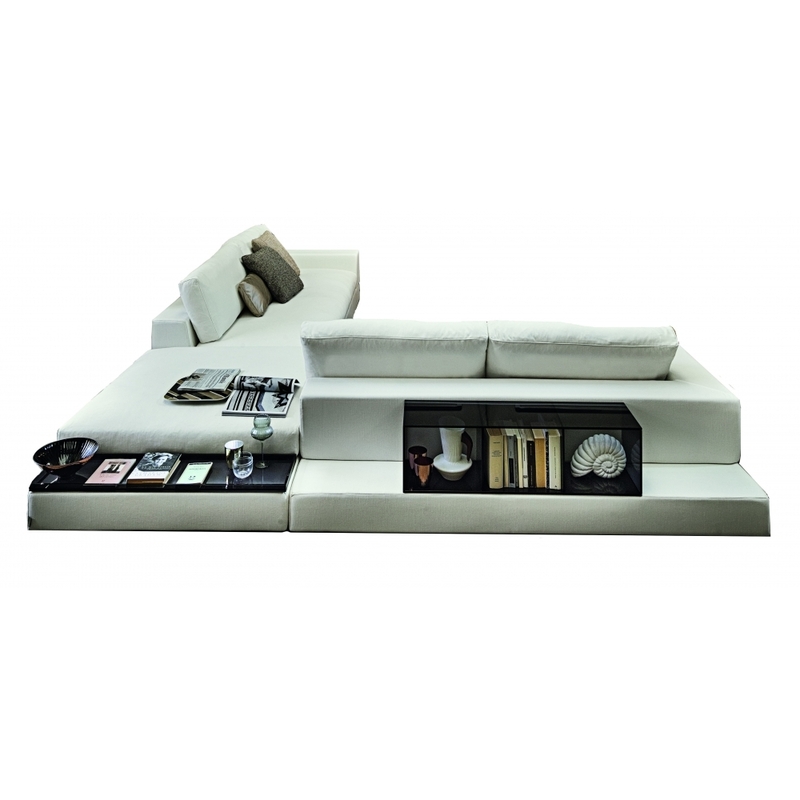 Set does not include scatter cushions, trays or bookcases - please contact us for pricing.